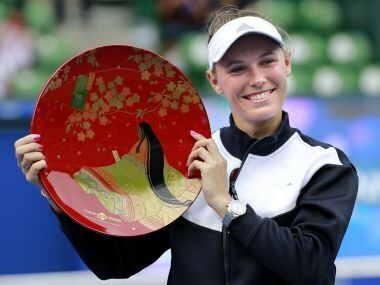 Tokyo: Defending champion Caroline Wozniacki romped to a 6-0, 7-5 victory over Russia's Anastasia Pavlyuchenkova on Sunday to win her third WTA Pan Pacific Open. The Danish former world number one needed only 75 minutes to complete the rout under the Tokyo sunshine, capturing her first title of the year after losing in six finals. 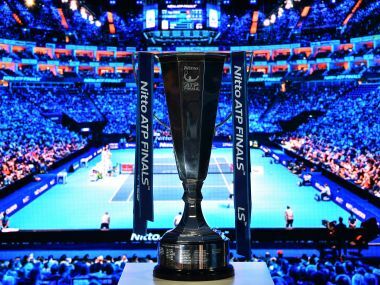 The Russian saved a match point in the 10th game of the second set before Wozniacki converted on her third opportunity, the world number six fizzing a backhand pass down the line to claim her 26th career title. "It was my seventh final this year and obviously after a while it gets harder and harder," said Wozniacki after winning her first tournament since Hong Kong in October last year. "Obviously I've won here in the past and it has great memories for me so I'm happy I was able to stay focused and aggressive," she added. "Everything was going my way in the first set. The second set was tricky but I managed to stay positive and it feels great to win the title again. It was awesome." Wozniacki, also Tokyo winner in 2010 and runner-up in 2014, joined former greats Steffi Graf and Gabriela Sabatini with three Pan Pacific Open crowns. Martina Hingis holds the record with five. Wozniacki, who destroyed world number one Garbine Muguruza 6-2, 6-0 in the semi-finals, never gave Pavlyuchenkova a chance in their first meeting since 2012. There were early warning signs for the Russian after Wozniacki pulled off an outrageous backhand from way outside the court that flashed past the net post and nibbled the line to give her a 3-0 lead in the first set. As she slumped dejectedly in her chair, Pavlyuchenkova squabbled with coach Simon Goffin. Despite being told not to by her coach, the world number 23 continued to sulk as Wozniacki produced an exquisite drop volley to take the next game and a crunching backhand to claim the set. Pavlyuchenkova managed to get on the scoreboard in the second set and cracked a sheepish grin after winning her first game. But she never looked like adding to the titles she won in Monterrey and Rabat. 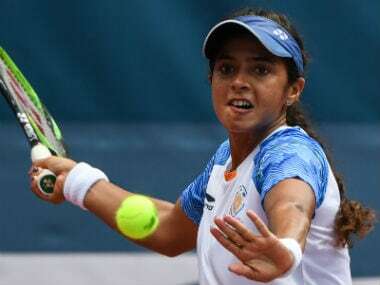 "The first three games were the key," said Pavlyuchenkova, who beat former world number one Angelique Kerber in the semi-finals. "I just felt a bit unlucky, it was strange. That's why I was a little down on myself," added the Russian. "I tried to go for it but I felt a little flat and didn't have enough energy and Caroline was playing amazing tennis."